* plus digital options are also available! 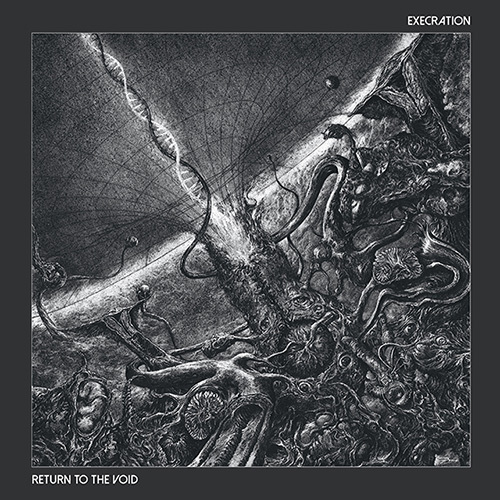 “Coming off of two double 12″ vinyl albums, the first clear goal for writing ‘Return To The Void‘ was to deliver the same kind of dynamic and shifting song-writing in a more condensed to-the-point package”, comments Execration. Stripping songs down to their essential core has been a driving force while writing, and it shows – there is not a wasted moment on the album. 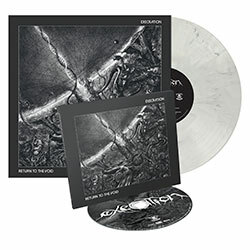 Ticking in at 42 minutes – a perfect fit for the vinyl format – the album takes the listener through a whirlwind of thrash, death, black, and even heavy metal, fast and slow parts, and the trademark Execration shifts in mood, tempo, and atmosphere.